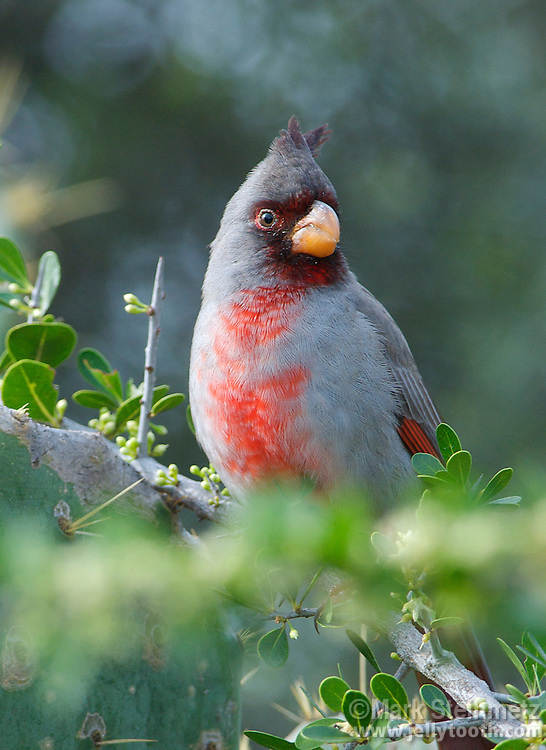 Male Pyrrhuloxia (Cardinalis sinuatus). Somewhat similar looking to the related Northern Cardinal, but with a distinct orange yellow stubby bill. A bird of brushy desert scrub habitat. Range is northern Mexico, into the southwestern US. Lower Rio Grande Valley, Texas, USA.